If You Are Going to Cheat On Your Drug Test... Be Prepared to Face The Consequences! Federal Agents in Pittsburgh recently targeted Sharp Labs out of Port Orange, Florida for producing materials that were claimed to help individuals pass their drug tests. Sharp Labs owned and operated by Stephen Sharp will be facing money laundering, fraud and drug charges. The Pittsburgh-Post Gazette is reporting that Sharp Labs sold an instant drink mix that could be used to mask urine used in federal drug screens. In October, a report out of Nashville, TN brought to light the use of synthetic urine for cheating drug tests. The fake urine is manufactured and sold in novelty and gag shops and is the newest weapon that drug users are turning to to defeat drug testing. A report out of Illinois this fall describes how an individual was planning to cheat on his urine drug test. By strapping a condom of another person's urine to his leg and using a hidden razor blade to cut the condom and access the urine is how Justin Head planned on passing his drug test. Head was caught even before he was able to enter the testing area. He was arrested when an official in the probation department caught him with a piece of razor blade he had smuggled into the courthouse in his mouth. Mobile Medical Corporation (MMC) can help you with all of your substance abuse testing needs. MMC works closely with all clients to establish affordable and focused drug testing protocols that comply with both the Department of Transportation (DOT) and Non-Federal testing programs. Contact MMC today for a free program review! (888) 662-8358. A Vermont bus driver was recently arrested for operating a vehicle under the influence of alcohol. The driver was transporting the Mount Mansfield Union High School hockey team back from a match when he was arrested. The driver, Shane McBrayer's blood alcohol content was .15. According to WCAX in Vermont his BAC was seven times the legal limit. To make matters worse, McBrayer has a prior criminal record. He has two robbery related convictions and one DUI conviction. When a background check was performed on the driver the DUI did not show up. Vermont Public Safety Officials say that the DUI conviction wasn't listed on McBrayer's record because DUIs are only listed if it's a repeat offense or if the DUI resulted in death or serious injury. Superintendent Jim Massingham said, "We normally don't hire people with convictions. This was unusual because of the recommendations we got. Knowing what I know now, I would have done it differently." The Office of National Drug Control Policy claims that drugs and alcohol cost taxpayers more than $300 billion annually in preventable health care costs, extra law enforcement, auto crashes, crime and lost job productivity. Mobile Medical Corporation's Random Drug Screening Solutions with Saliva Alcohol Testing can help employers to stem the costs of "working" under the influence. Pittsburgh, PA based Mobile Medical Corporation (MMC) is an industry leader in providing customized workplace drug and alcohol testing and credential tracking solutions. Contact MMC today and ask MMC about Instant Drug and Saliva Alcohol Testing! As an industry leader in the substance abuse testing arena, Mobile Medical Corporation (MMC), a Pittsburgh based drug testing firm receives many questions on substance abuse testing daily. One of the topics that we are asked about often is Department of Transportation (DOT) Drug Testing. A recent question from a manager at a transportation firm in New York City asked, "What drugs are tested for in a DOT program?" The following five drugs or classes of drugs are tested for in a DOT drug test. Check back often as there are changes on the horizon coming to DOT drug testing regulations. Mobile Medical Corporation (MMC) provide services that include drug testing, on-site medical services including nursing and first aid stations as well as id verification and background checks. MMC’s corporate office is located in Pittsburgh, PA and has satellite offices located in Cleveland, Baltimore, Paramus, Houston and Sacramento. MMC is poised for expansion in 2010. Call today for a FREE in-depth review of your current drug testing policy! Follow Mobile Medical Corporation (MMC) on Twitter! Mobile Medical Corporation (MMC) has joined the millions of users on Twitter. Check often for important MMC events and drug testing industry news and legislation. Click to view MMC on Tweeter! Mobile Medical Corporation (MMC) is a “solutions-based” provider, administrator and information manager of medical services in the construction industry. Working together with large construction companies, labor unions and facility owners, we provide services that include drug testing, onsite nursing and first aid stations, id verification, and background checks. The feature that sets us apart in the industry is our sophisticated proprietary software application. The application collects union construction workers’ medical, safety, and training credentials and centralizes them in a secure online verification system so that they can be accessed by contractors nationwide. MMC’s corporate office is located in Pittsburgh, P.A. and has satellite offices located in Cleveland, Baltimore, Paramus, Houston and Sacramento. MMC is poised for expansion in 2010. New Jersey Legislators Pass Senate Bill 119 "Compassionate Use Medical Marijuana Act"
New Jersey joins 13 other U.S. states that allow the use of medical marijuana. The New Jersey Senate and Assembly recently passed Senate Bill 119 that allows the drug marijuana to be used for the treatment of pain or other symptoms associated with certain debilitating medical conditions. Alaska, California, Colorado, Hawaii, Maine, Nevada, Oregon, Vermont, Washington and Montana all allow the use of medical marijuana, and in Arizona doctors are permitted to prescribe marijuana. The "Compassionate Use Medical Marijuana Act" now awaits the Governors approval. Employers should note that Section 10 of the Bill reads, "Nothing in this act shall be construed to require a government medical assistance program or private health insurer to reimburse a person for costs associated with the medical use of marijuana, or an employer to accommodate the medical use of marijuana in any workplace." Roseanne Scotti, director of Drug Policy Alliance New Jersey said, “We want to thank the legislature for doing the right thing and passing the New Jersey Compassionate Use Medical Marijuana Act.” Scotti concluded, “This legislation will provide relief and legal protection for seriously ill patients and their families across New Jersey." 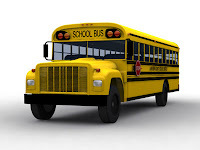 15 Carrick High School students were recklessly put in harms way as their bus driver ran a red light and almost collided with a light pole on their way to the Carnegie Science Center in Pittsburgh, PA . Driver Brian Dunlap was charged with driving under the influence of drugs (DUI), 15 counts of endangering the welfare of children and two counts of reckless endangerment. According to the Pittsburgh Post Gazette - The police complaint read that, "his speech was extremely slurred and he was swaying back and forth" when he spoke to officers and had "saliva pouring out of his mouth." Congratulations to Mobile Medical Corporation's President & CEO Cynthia J. Latsko for being a recipient of the Pittsburgh Business Times' "2010 Women in Business Award." The Pittsburgh Business Times and its sponsors will honor 25 of the region's most outstanding women for their business accomplishments on March 15, 2010 at the Westin Convention Center Hotel. To learn more about the event please visit here. Mobile Medical Corporation (MMC) is a “solutions-based” provider, administrator and information manager of substance abuse testing and medical services in the construction industry. Working together with large construction companies, labor unions and facility owners, we provide services that include drug testing, onsite nursing and first aid stations, id verification, and background checks. The feature that sets us apart in the industry is our sophisticated proprietary software application. The application collects union construction workers’ medical, safety, and training credentials and centralizes them in a secure online verification system so that they can be accessed by contractors nationwide. MMC’s corporate office is located in Pittsburgh, P.A. and has satellite offices located in Cleveland, Baltimore, Paramus, Houston and Sacramento. MMC is poised for expansion in 2010. California Assembly Bill 390 aims to legalize and tax marijuana. The bill goes a step further then the usual medicinal marijuana verbiage and focuses on the legalization of the drug for recreational use. The bill is sponsored by San Francisco Assemblyman Tom Ammiano. The bill would legally allow adults over 21 to grow, possess and smoke marijuana freely. According NBC news in San Francisco, This is the first time in U.S. history any state legislative body has ever considered repealing marijuana prohibition, which has been in place since 1913. A vote on the bill will take place today. Mobile Medical Corporation (MMC), a Pittsburgh based third party administrator of Drug Screening and on-site medical solutions is proud to be a sponsor of this year's Association of General Contractors (AGC) Winter Safety & Health Conference. The conference is being held Jan 12th to the 15th at the Paris Las Vegas Hotel. Mobile Medical Corporation (MMC) is sponsoring Refreshment Breaks on Monday and Friday of the conference. Gregg Latsko, MMC's Operations Manager stated, "It is great for trade associations like the AGC to take the lead and forge ahead in the discussion of safety and health protocols for the American worker." Mobile Medical Corporation (MMC) is a National Third Party Administrator of multi-leveled drug testing and occupational healthcare solutions with a specialization in labor management cooperative programs and on-site nursing and first-aid station logistics.